Getting the plane prepped includes making sure all the safety equipment is one board. 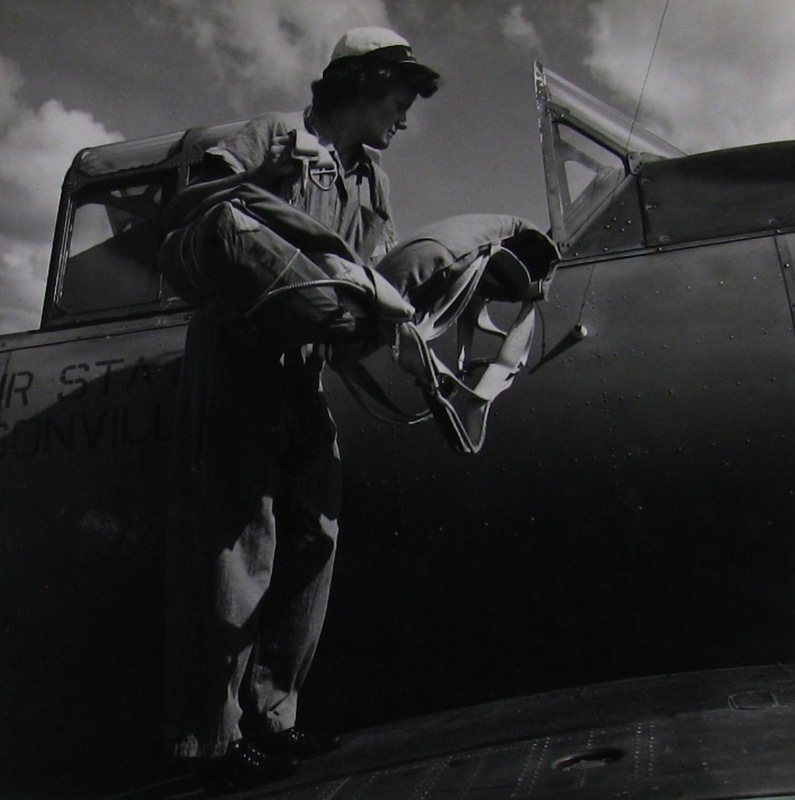 Here, WAVE Mary Arnold puts a parachute into an SNJ. ,Today’s entry in our series of photographs of WAVES at work in the Naval aviation was taken at Naval Air Station Jacksonville in September 1943.